Today we find out what happens when Indi Power Pop goes electronic! However you choose to categorize them, the four-piece rock band OK Go is clearly dabbling into new areas with their latest album, Hungry Ghosts. 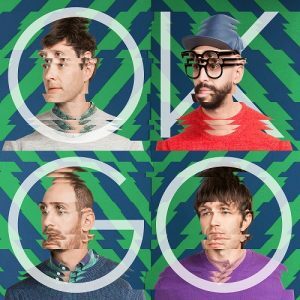 Early in Crash Chords history, Matt had the priviledge of conducting an interview with OK Go’s drummer, Dan Konopka, while also reviewing their previous release, Of the Blue Colour of the Sky. For their new album however, we administer the unadulterated CCP treatment, so hop on board and share your own opinions! 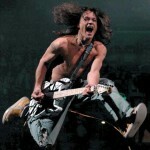 Following that, we shift to a more lighthearted topic: quite simply, the nature of “rocking out!” Can this primal urge ever mingle freely with the stoic world of critical analysis? electronica, indie rock, pop, synthpop. Bookmark. This is the first time that I’ve listened to your podcast. I decided to tune in since I’m a huge OK Go fan. I really appreciate the detailed breakdown and analysis of the elements of each track. Several times in your discussion you stated that “I Won’t Let You Down” was the first music video from this album, when in fact that is not the case. “I’m Not Through” was technically the first single from the album and has a fan created video that was chosen by OK Go through a Saatchi + Saatchi music video contest. “The Writing’s On The Wall” was the first OK Go created video (2nd single) from Hungry Ghosts (the video is absolutely amazing. 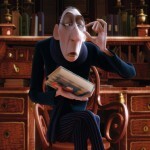 If you haven’t seen it you should definitely check it out). Hi Erin! Sorry for the late reply. Glad to hear you enjoyed the breakdown! Also, thanks a bundle for the corrections; we occasionally get so immersed in the album itself, the background details get jumbled up. Good catch!